For lifestyle and gardening ideas, Bents Garden Centre is second to none. Established in 1937, Bents is now the complete gardening, home and leisure experience. 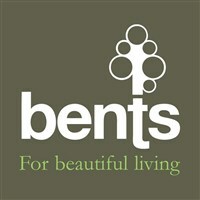 Established in 1937, Bents is now the complete gardening, home and leisure experience. Here, you will find lifestyle ideas to transform your indoor and outdoor living spaces, something new to capture your imagination, from premium quality home-grown plants and accessories, to luxurious fabrics and furnishings for your garden and home.